Hi friends, so as we prepare for our Phoenix and Dallas festival premieres, and celebrate our award wins in our first two fests (Best Science Fiction Film and Best Supporting Actor for Bruce Davison in the Hollywood Reel Independent Film Festival, along with the Chrononaut Time Travel Award in the Boston Science Fiction Festival) here is a look back at our final days of filming and what brought us to this point. Enjoy! We also just returned from our East Coast Premiere in the Boston Science Fiction Festival, where we screened for a nearly sold-out crowd and had a great Q&A afterward in the “micro-cinema” down the hall, with director Kenneth Mader and producer Zander Villayne. And we are now an official selection in the Phoenix Film Festival which runs April 7-14 so all of you AZ fans can come out to see the film! Here at long last is our first Official Trailer after completion of the film, featuring new footage, sound design, original music and our amazing cast. Enjoy! So it’s been a whirlwind couple of months working on post sound and re-recording, but we are very proud to announce that our mix is now complete, and the movie sounds fantastic!!! Thanks to our amazing Digital Dreams/Virtual Mix sound team Chip Mullaney, Clancy Troutman, Patrick Giraudi, Savannah Auch, Lorita De La Cerna, Reece Miller, Lisa Neidhardt, Bootsie Boots, and Eli Cameron in the UK who recorded Sarah Douglas ADR in her bedroom (!) via Facetime with our director in L.A. — which turned out fantastic and matches seamlessly. Gotta love modern technology and artistic ingenuity. Also thanks to our brilliant composer Bruce Chianese and all the talented musicians who contributed a bit of their souls to the incredible score. Big, orchestral, emotional, magical. It is a thing of beauty we cannot wait for you to experience. Now a final pass on color grading and some visual effects tweaks and it’s off to the big screen! Can. Not. Wait. 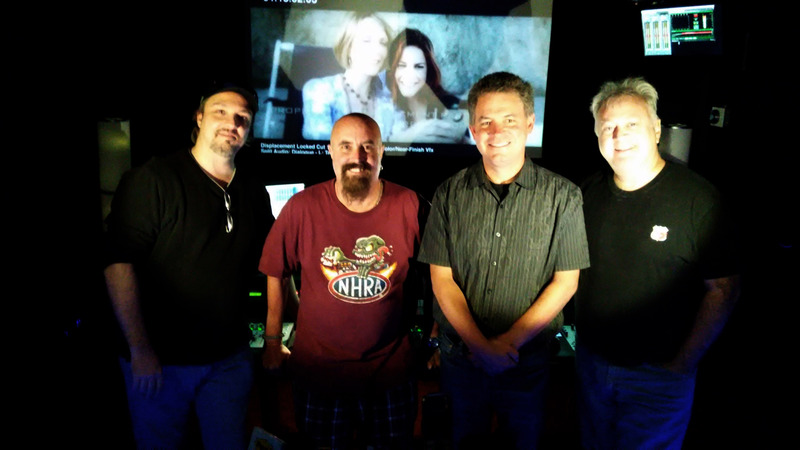 L-R: Director Kenneth Mader, Sound Supervisor Clancy Troutman, Composer Bruce Chianese, and Mixer Patrick Giraudi just after locking the sound at Virtual Mix in Burbank, CA. With Susan Blakely and Courtney Hope on screen. Photo by Zander Villayne.